Widest choice of in-line finishing options. 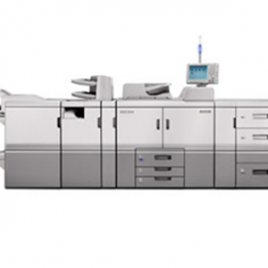 London Copiers are a premier-partnered, direct supplier of photocopiers, multifunctional devices (MFD's), multifunctional printers (MFP's), printers, production printers & MFP's, wide format printers & MFP's and print management software solutions. With offices and service centres across London and the Home Counties, London Copiers are able to supply ISO accredited service to London, Kent, Surrey, Berkshire, Buckinghamshire, Essex, Hertfordshire and Sussex. Choose to either purchase directly in one payment or spread the cost over a predetermined term as part of a lease agreement. We partner with the manufacturers that not only create the best products, but provide the best level of support and - most importantly - manufacture devices designed to work faultlessly. Decided by you, we are able to supply a full, comprehensive service agreement meaning that all maintenance, toner, repairs and parts are included in a quarterly cost. What are the benefits to you? Your device's downtime is minimal if not preventable. In the rare event of a complete device malfunction - we will supply a like-for-like, replacement machine free of charge. These features are only available to those taking out our accredited service agreement. We have a number of locations across the South East with main offices in London, Kent and Essex with service centres in Surrey, Sussex, Suffolk and Hertfordshire. This number of locations and experience of the industry makes us a prime partner for organisations within the South East. 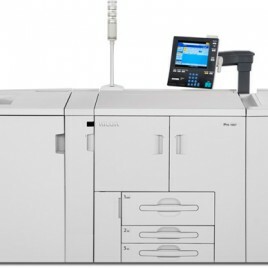 London Copiers are able to supply products and services to the UK mainland only. Contact with London Copiers may be recorded for training purposes.